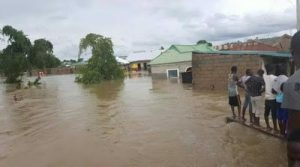 Officials of the Child Protection Network and the Benue State Emergency Management Agency, BSEMA, have said three persons died in the recent flooding in the state, while 110 000 survivors risked contracting diseases. “There were three deaths, two adults and one child. At the Government approved IDP Camp, up to 4 families are reported to be accommodated in one room. This suggests the possible risk of an epidemic as some hospitals in affected locations are reported to have shut down due to the flood,” the agency noted. 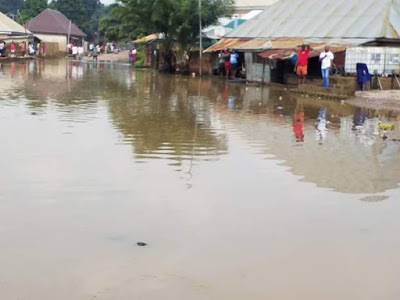 The situation report by BSEMA on flooding in the state compared with that issued by Child Protection Network official, Nathaniel Awuapila, on Monday, and obtained by PREMIUM TIMES on Tuesday, revealed that 12 local governments are affected in the disaster. “There is a strong likelihood of the situation is getting worse as we are only beginning to experience the peak of the rainy season. There is also the possibility of water from Lagdo Dam in Cameroon being released. The basis of this analysis is reconnaissance by professional civil society actors and statements by Nigeria Hydrological Services Agency,” Mr. Awuapila said. The network appealed for humanitarian assistance from the public to assist victims of the disaster adding that most victims had lost their life savings. “Family livelihoods are at significant risk. Some families engaged in exclusive agricultural pursuits who are caught in the emergency have lost their crops, their houses having also been swept away. Some petty trading businesses have closed down, which suggests harder times for the affected families. ”Particularly vulnerable groups include nursing mothers, pregnant women, children 0-5 years, children with disabilities, children with ailments, and the elderly,” it said. Apart from the state capital Makurdi, rural areas affected by the flood according to the BSEMA include Tse-Agberagba, Tse-Gaase, Tse-Kyor Kpev, and Tse Anyon. At Mabpupuu, Tse-Gabiin is affected, with many houses and farms reportedly washed away. In Buruku, Agyo, Dogo, Baja, and Buruku towns are affected. In Gwer East, Ikpayongo and Aliade have also been affected. In Katsina Ala, Hausa Quarters and communities along Zaki Biam Road are also included in the tragedy while in Okpokwu, Ugbokolo town is affected, particularly the location known as Jericho.